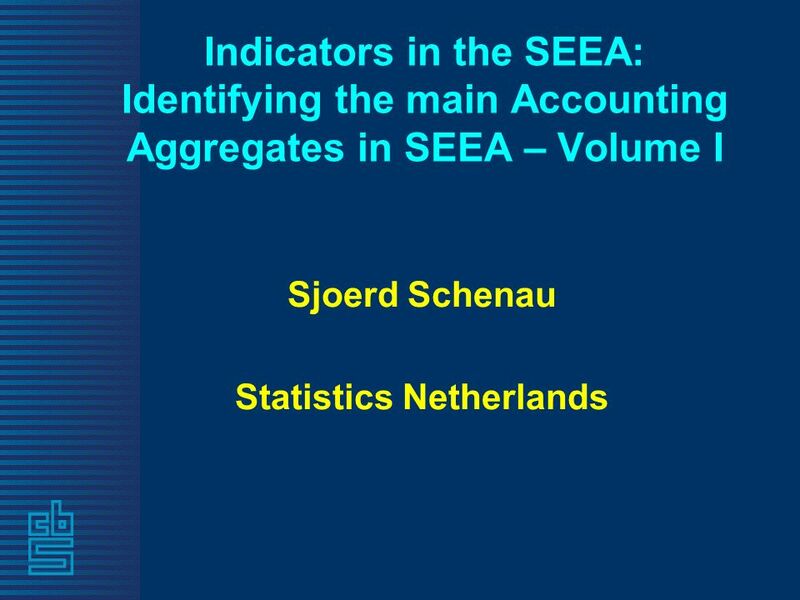 Indicators in the SEEA: Identifying the main Accounting Aggregates in SEEA – Volume I Sjoerd Schenau Statistics Netherlands. 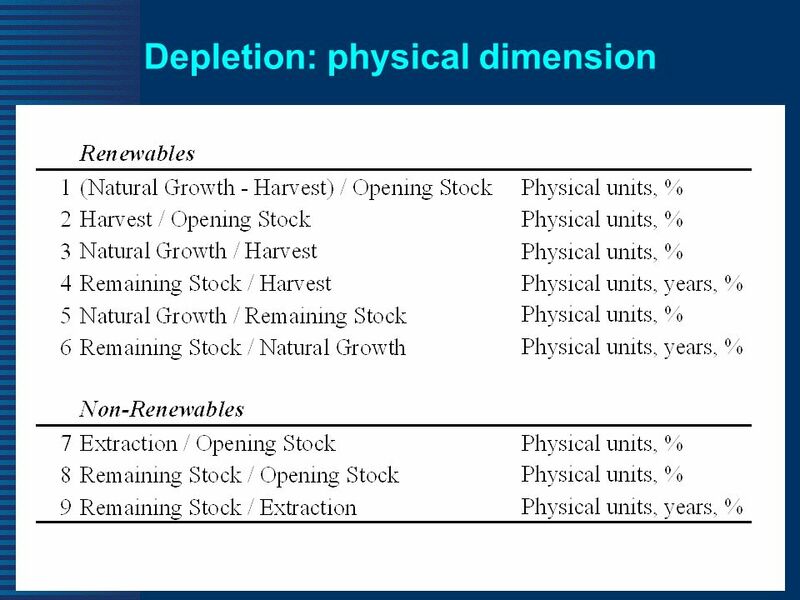 17 Depletion: monetary dimension Valuation of natural resource assets enables direct wealth comparisons with other asset types, like produced assets or financial assets. 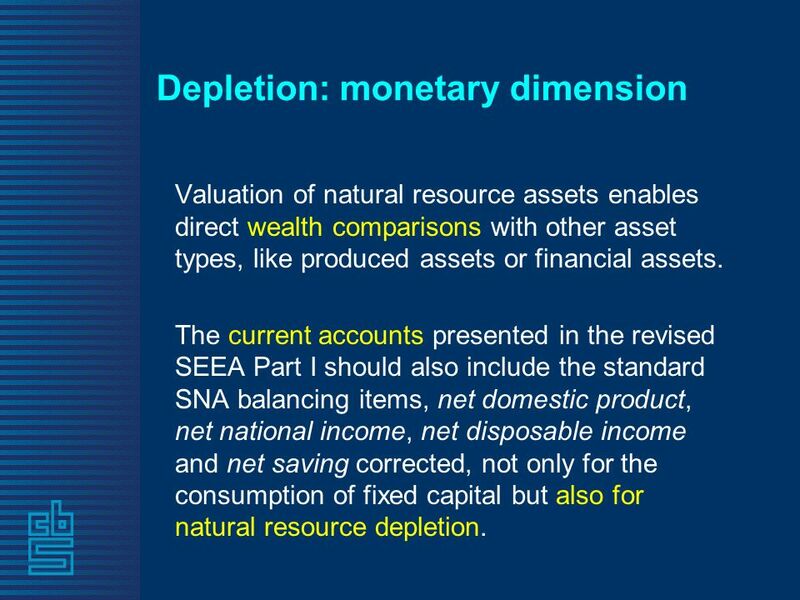 The current accounts presented in the revised SEEA Part I should also include the standard SNA balancing items, net domestic product, net national income, net disposable income and net saving corrected, not only for the consumption of fixed capital but also for natural resource depletion. 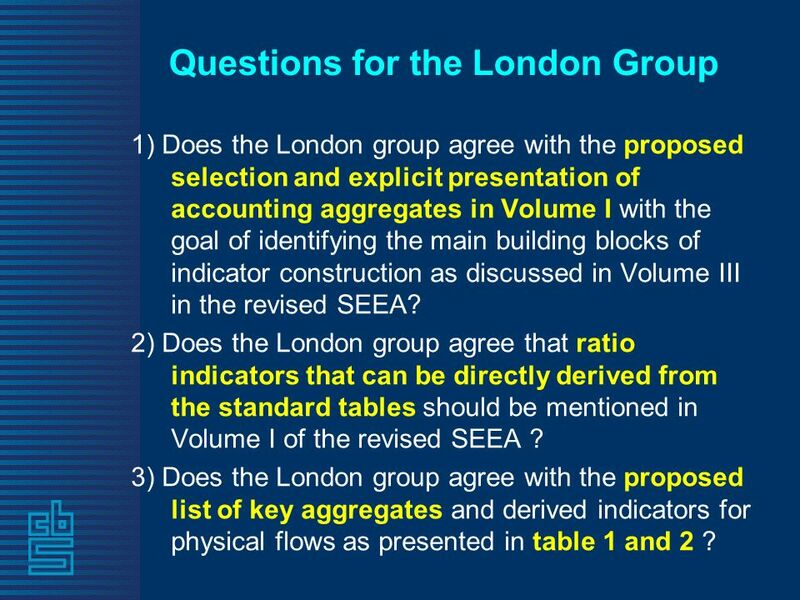 18 Questions for the London Group 1) Does the London group agree with the proposed selection and explicit presentation of accounting aggregates in Volume I with the goal of identifying the main building blocks of indicator construction as discussed in Volume III in the revised SEEA? 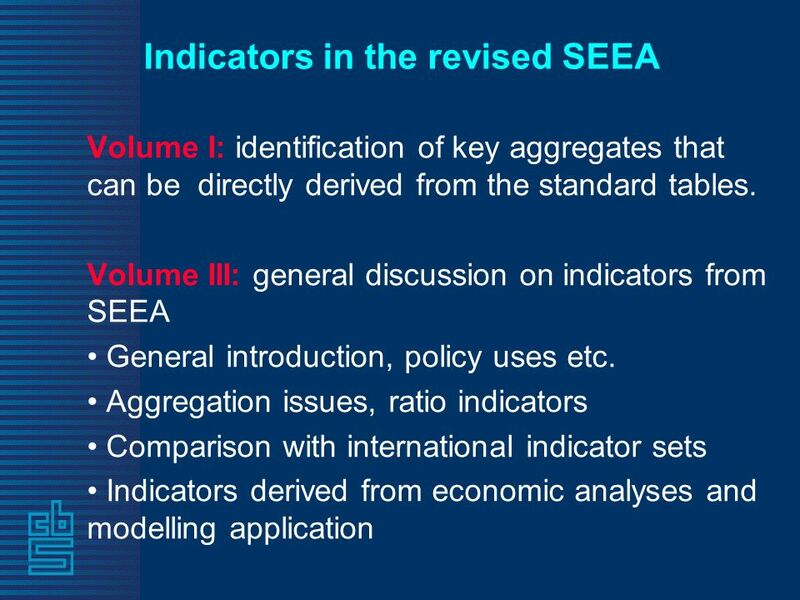 2) Does the London group agree that ratio indicators that can be directly derived from the standard tables should be mentioned in Volume I of the revised SEEA ? 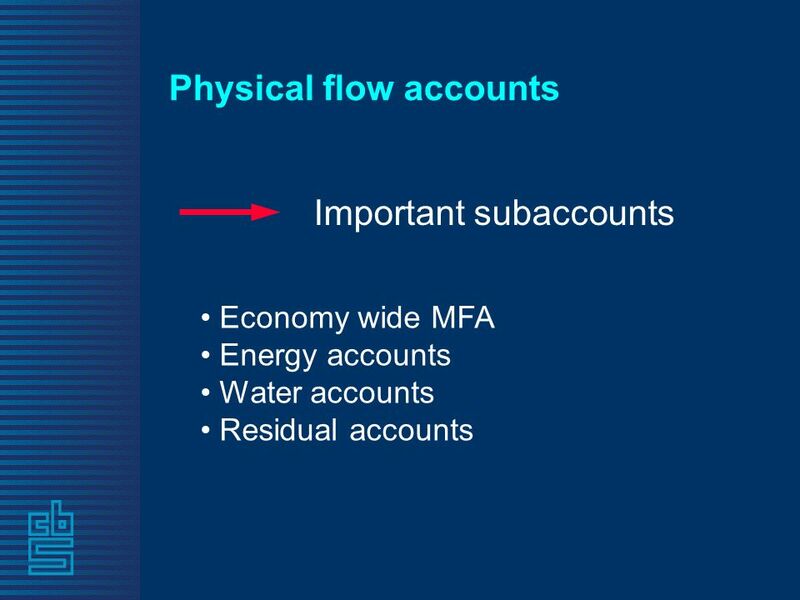 3) Does the London group agree with the proposed list of key aggregates and derived indicators for physical flows as presented in table 1 and 2 ? 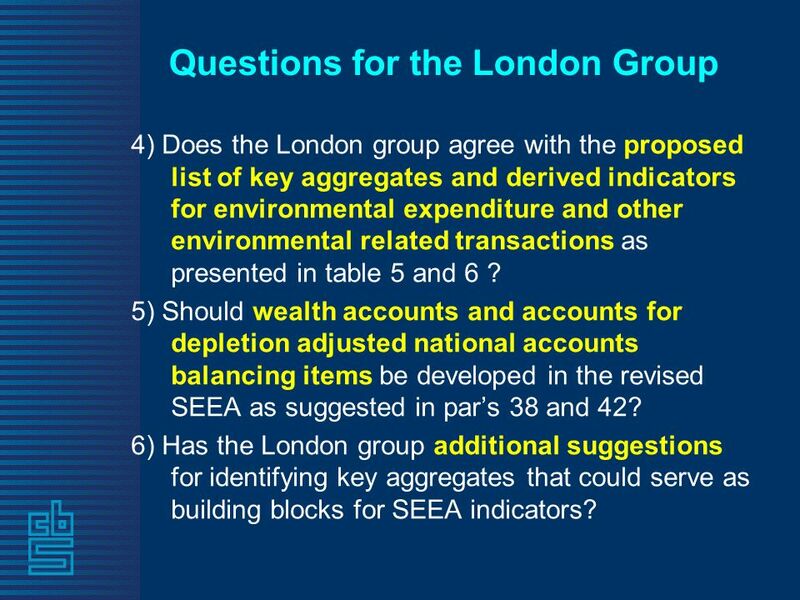 19 Questions for the London Group 4) Does the London group agree with the proposed list of key aggregates and derived indicators for environmental expenditure and other environmental related transactions as presented in table 5 and 6 ? 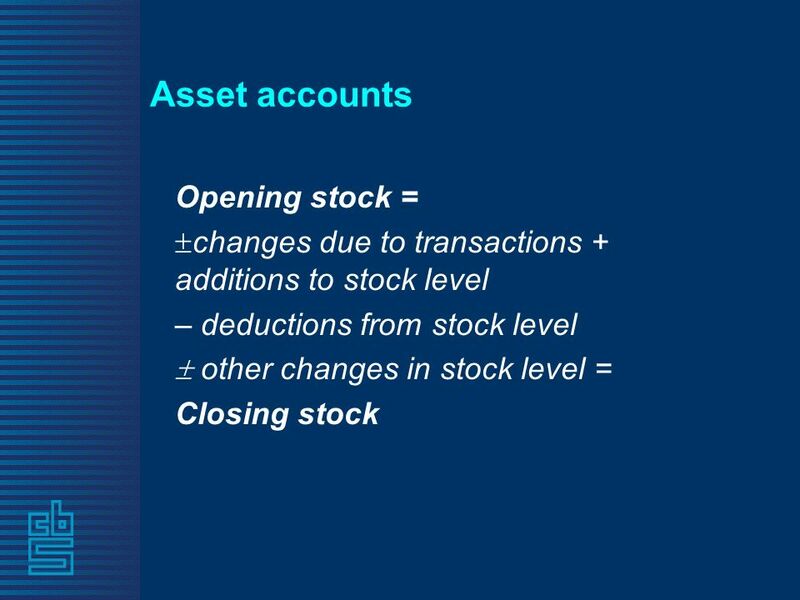 5) Should wealth accounts and accounts for depletion adjusted national accounts balancing items be developed in the revised SEEA as suggested in pars 38 and 42? 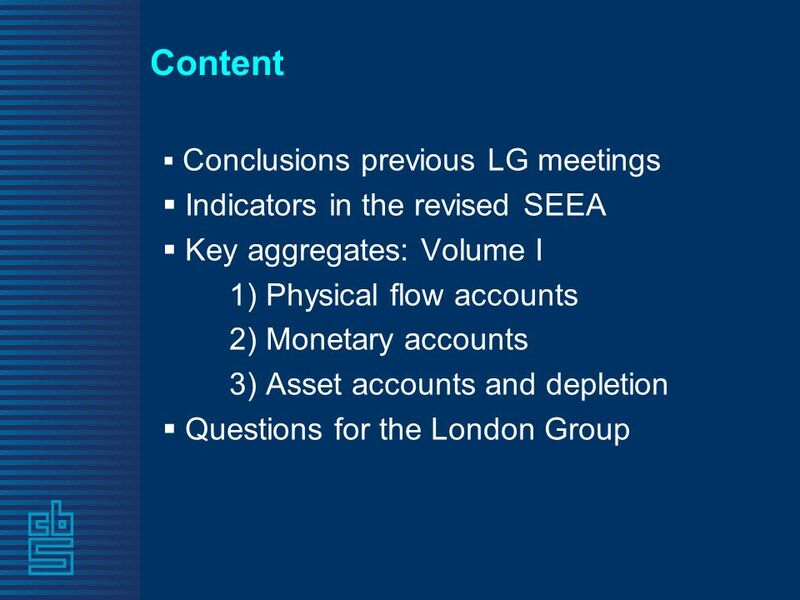 6) Has the London group additional suggestions for identifying key aggregates that could serve as building blocks for SEEA indicators? 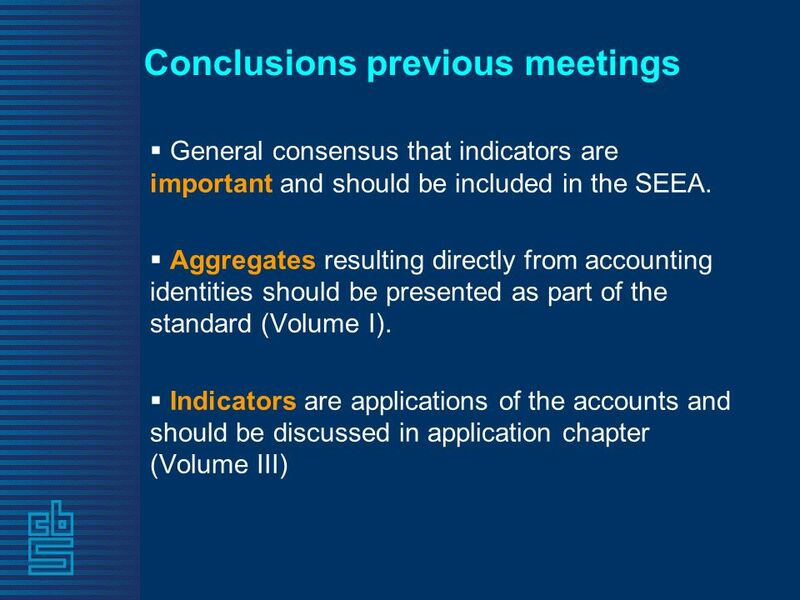 Download ppt "Indicators in the SEEA: Identifying the main Accounting Aggregates in SEEA – Volume I Sjoerd Schenau Statistics Netherlands." 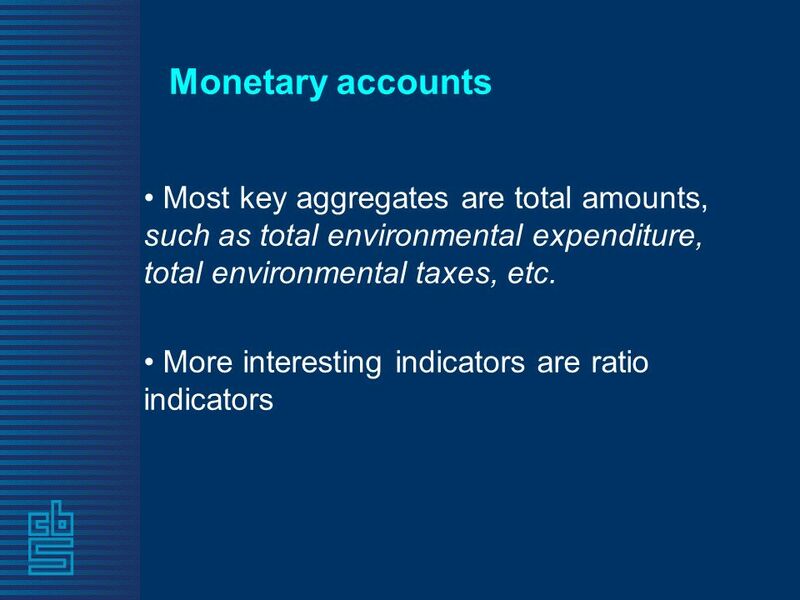 Green Growth, Green Economy and the SEEA 17 th London Group Meeting Stockholm, Sweden September 2011. Rocky Harris Defra UK Chapter 6 Integrating and presenting the accounts. INFO 4470/ILRLE 4470 National Income and Product Accounts: Business Cycles John M. Abowd and Lars Vilhuber February 23, 2011 Thanks to Brent Moulton, BEA. 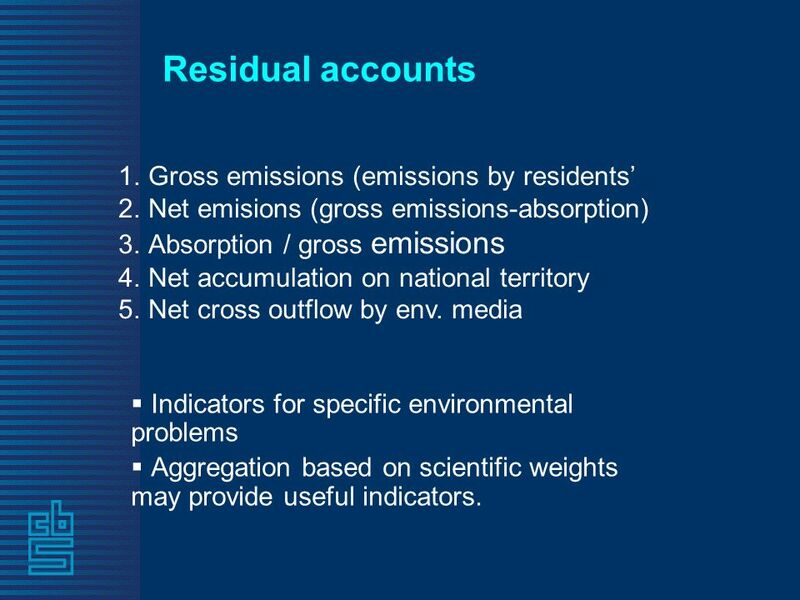 SEEA as a framework for assessing policy responses to climate change Prepared for the IAOS conference Sjoerd Schenau and Roel Delahaye Statistics Netherlands. 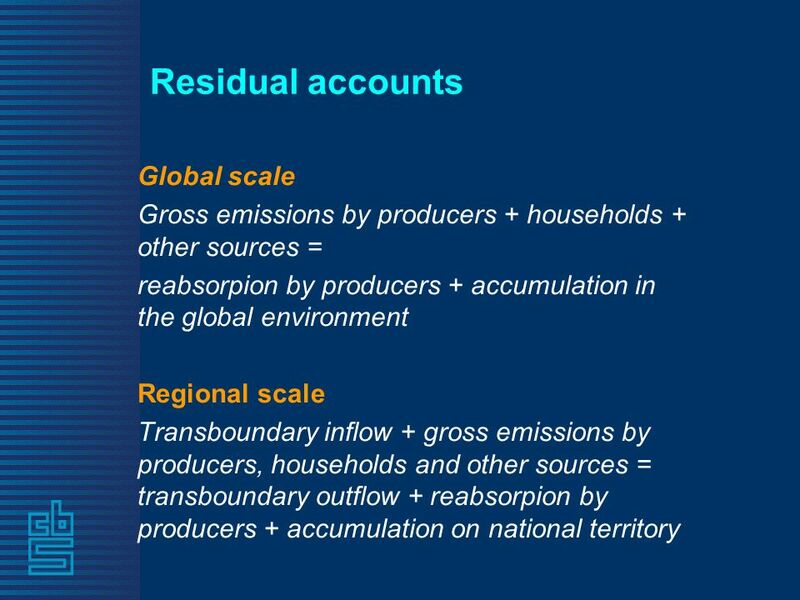 Organisation, output and dissimination Environmental Economic accounting in the Netherlands. 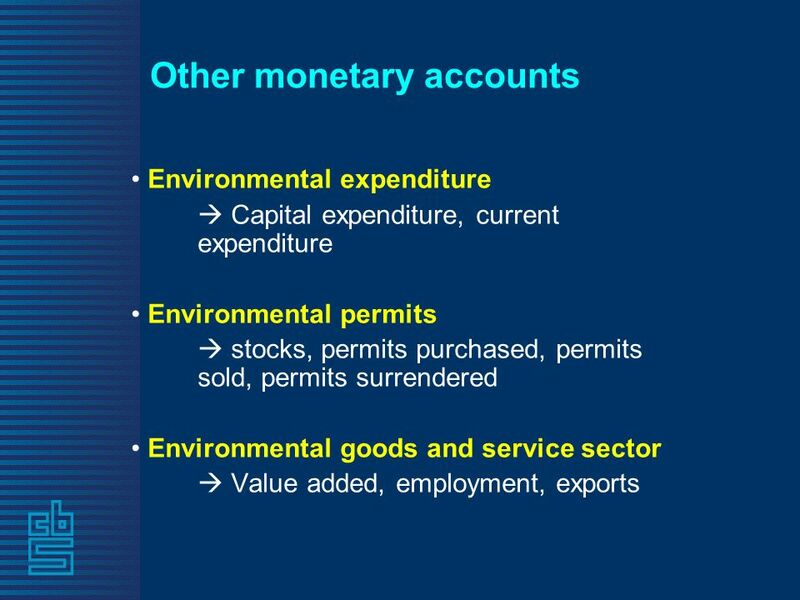 1 Section 1 The Balance of Payments. 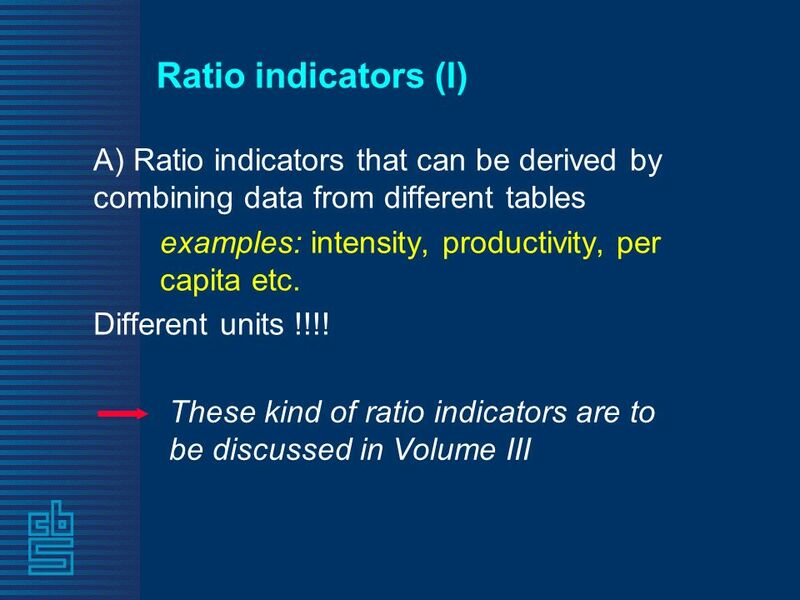 2 Content Objectives The National Income Accounts S, I, and CA The BOP Accounts Bookkeeping Summary. 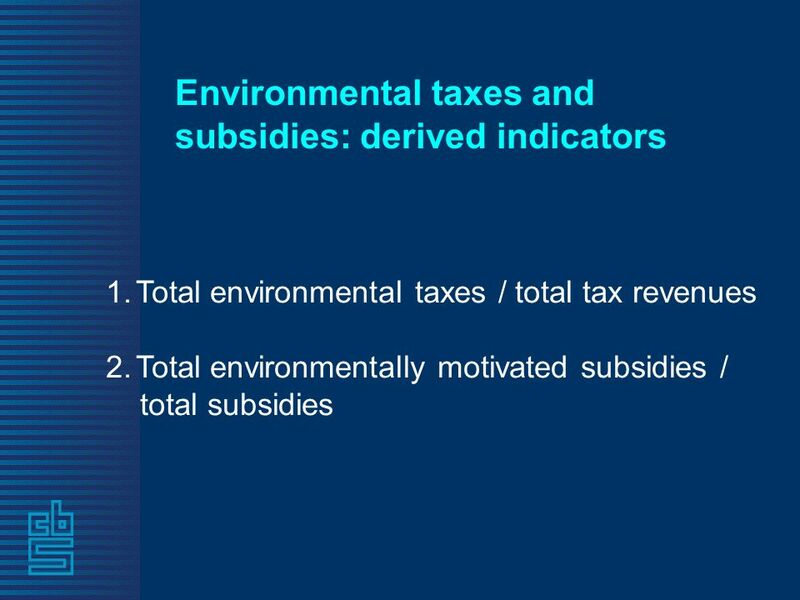 National Administrative Department of Statistics – DANE Directorate of Synthesis and National Accounts Colombia Environmental Economic Accounting 14 june. 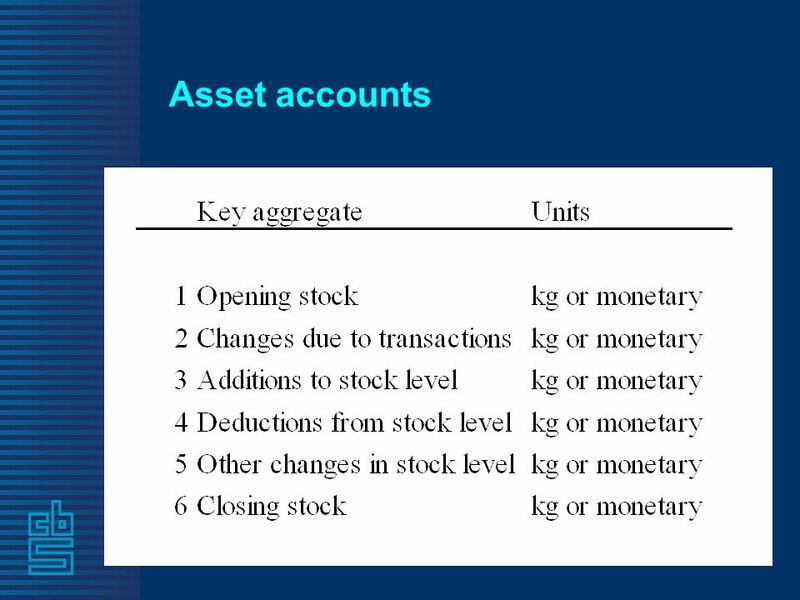 Chapter 2 The Measurement and Structure of the Canadian Economy Copyright © 2012 Pearson Education Inc. 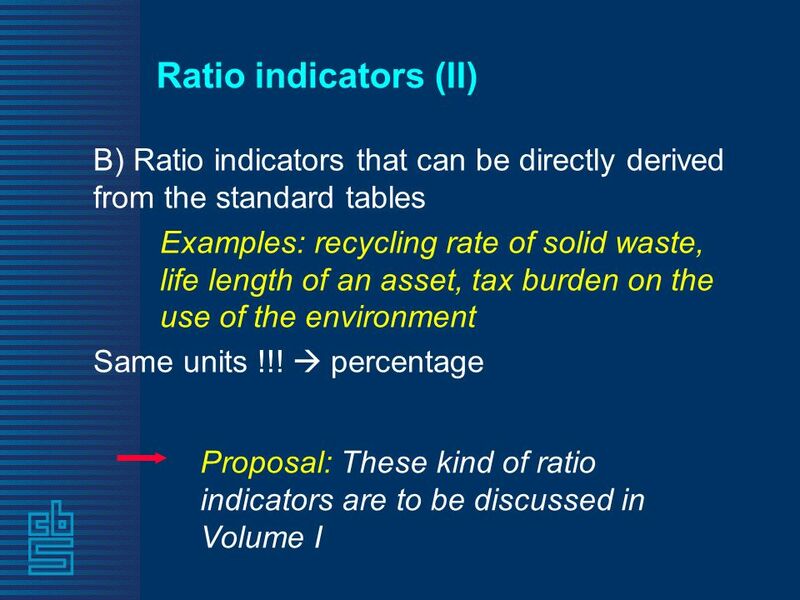 Waste accounts in a NAMEA framework Roel Delahaye Statistics Netherlands. Regional Coordinators Meeting September 28-30, 2009 Washington DC Defining the National Accounts Framework for the ICP. 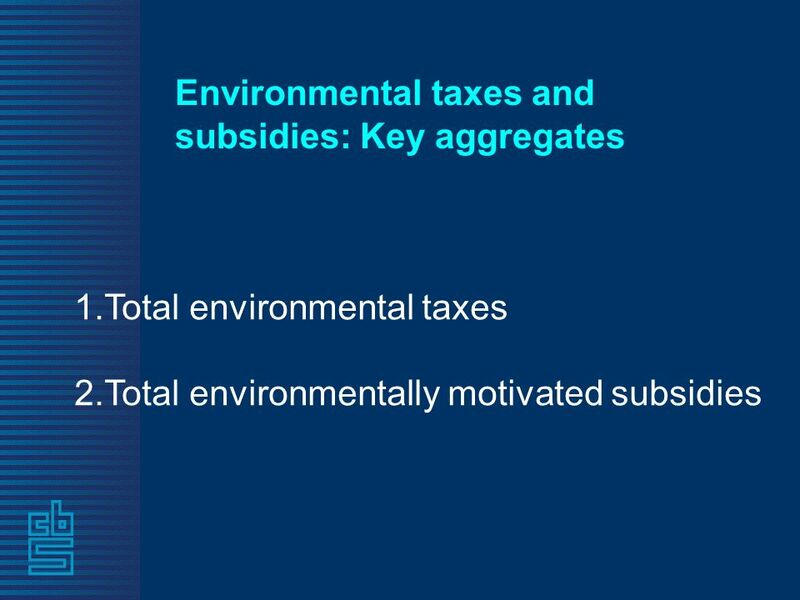 Dutch Enviromental Accounts and policy demands Geert Bruinooge Deputy Director General Statistics Netherlands. National Accounts at a Glance New OECD publication National Accounts Working Party Meeting Paris 4-6 November 2009.